Rectangular ironing machine not equipped with boiler. Sizes of board: 180×90 cm. Inclinable board (220 V Single-phase). Hand iron not included. Rectangular ironing machine with steaming and suction top functions. Sizes of board: 180×90 cm. For ironing wool knittings. 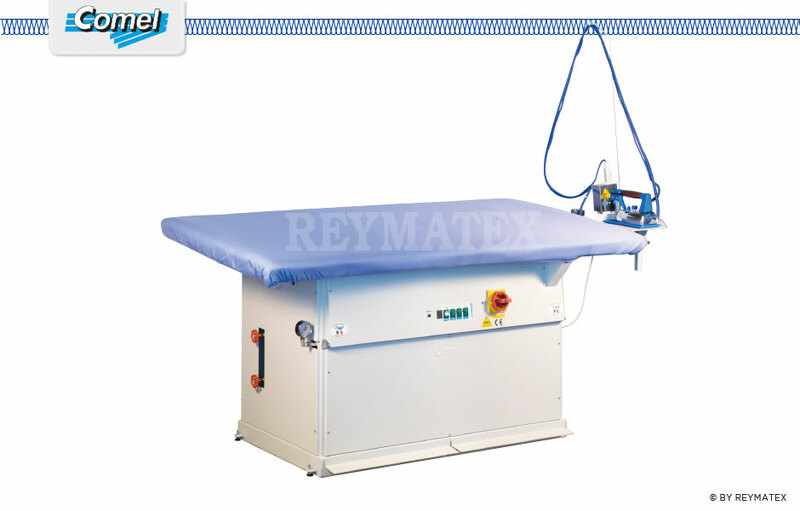 Equipped with steam heating board, suction by using electric motor & hand iron with wooden handle. Power of boiler: 18 Kw 380 V. Includes hand iron with wooden handle, electrovalve and automatic to supply water to the boiler.